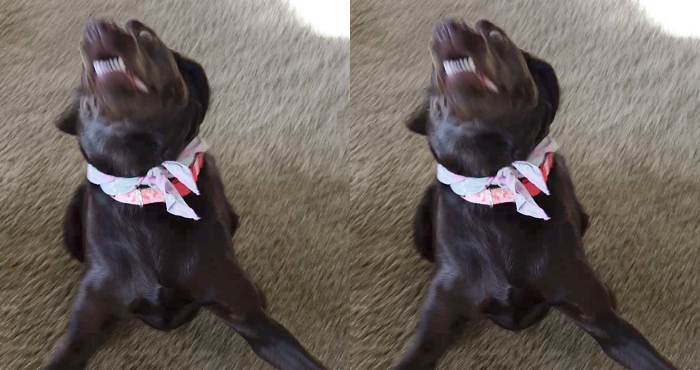 What’s REALLY Going On When Your Dog Catches “The Zoomies?” Here’s How You Can Help! Nicknamed “The Zoomies,” pet owners have all sorts of ways to describe the hilarious way their dogs, pigs, cats, and other pets will randomly “zoom” about the house in a completely uncontrollable manner. “The Crazies,” or “The Sillies,” are generally a good thing and usually end up with your exhausted pet cuddling up in your lap to rest. But the zoomies can cause a lot of harm to your pet if you aren’t careful, and veterinarian Dr. Rachel Barrack has a few tips to help them along. As cute as “zoomies” sounds, the random bursts of energy actually have a name: Frenetic Random Activity Periods (FRAPS), and they can happen for many reasons. When a dog has too much pent up energy, their little bodies respond by expelling it suddenly. When they have been through something upsetting, such as a bath or a trip to their vet, they often zoom around the house at explosive speeds. They may even have a case of the zoomies when you arrive home after being gone for a while. But when these zoomies happen, you’ve got to watch out! Dogs may suddenly get the zoomies and run into traffic, down stairs, or slide across hardwood floors and injure themselves on furniture that they would otherwise avoid. So, how can you help? Recognize the signs and prevent them in the first place with scheduled runs, fun activities that help to expel energy in a wide open space, or playing fetch with their favorite toy!